Triple C Charters: JUST PERFECT!! The fishing has been absolutely outstanding over the last couple of weeks which is great because there's been a lot of people who wanted to get out on the water. Everyone knows how much I encourage and enjoy taking kids fishing but one of the most rewarding trips I do all year is the TAMCO Fishing Tournament that benefits our Wounded Warriors. Fortunately this year the weather was perfect and the fish were hungry as everyone caught a bunch of fish and had a great time. A huge thanks to my anglers Angelo Snead and Chris O'Donnell for both their service and their sacrifice. 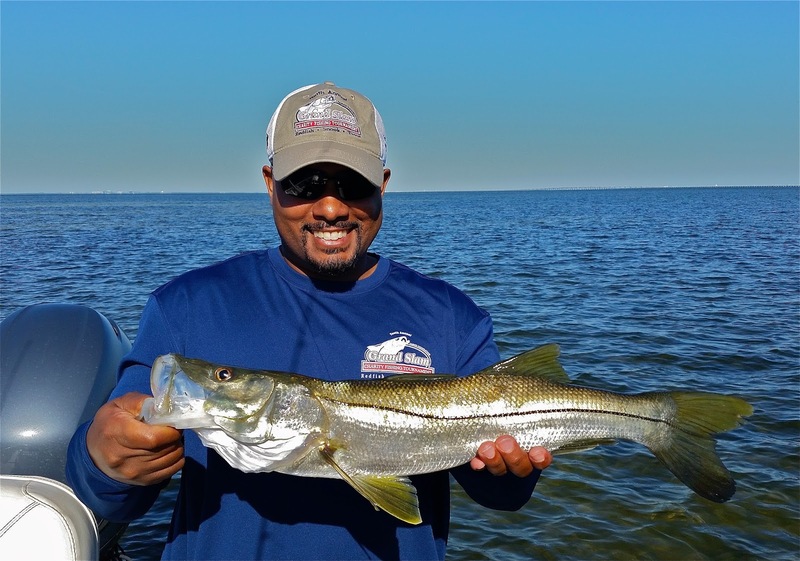 We have had water temps averaging in the low to mid 70s which is ideal for most of our inshore gamefish. The influx of baitfish and warming water temps have brought with it many of our toothy summer visitors including the spanish mackerel, bluefish and a hoards of feisty little sharks. Early in the season the first macks to show are usually small fish (under 20") but last week there were plenty of fish in the 24-28" range that some clients even invited home for dinner. The are excellent on the smoker! 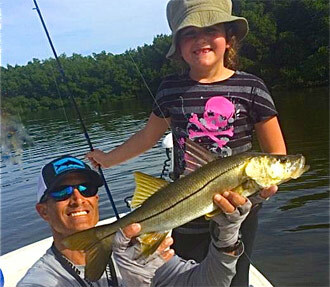 The snook bite is still on fire and when there is a good tide it can be downright ridiculous! Most of the fish are just under slot but they put on a strong fight and a great show as they make acrobatic leaps in attempting to dislodge the hook. There are also some MUCH bigger fish around and a few clients were left humbled this past week after hooking what seemed like freight trains that never slowed before parting the line in the mangroves. In a little deeper water (4-6ft) we're still catching some very nice trout up to 25". I try to encourage the release of these larger trout as they are typically full of worms and the females produce exponentially more eggs than smaller trout under 20". The redfish are have been mostly scattered but there are a few schools of overslot fish that have been cooperative when not under too much pressure from other boats. Some nice snapper have started to show as well. Hopefully this year is as productive as last. Last but not least, the tarpon have started to show themselves with some smaller resident fish in the 50-80lb range being jumped the the bridges. It won't be long before the silver rush is on! If you want to get out and enjoy some of the best fishing of the year… this is the time!!! Tight Lines, Capt. Chris (813) 908-6222.